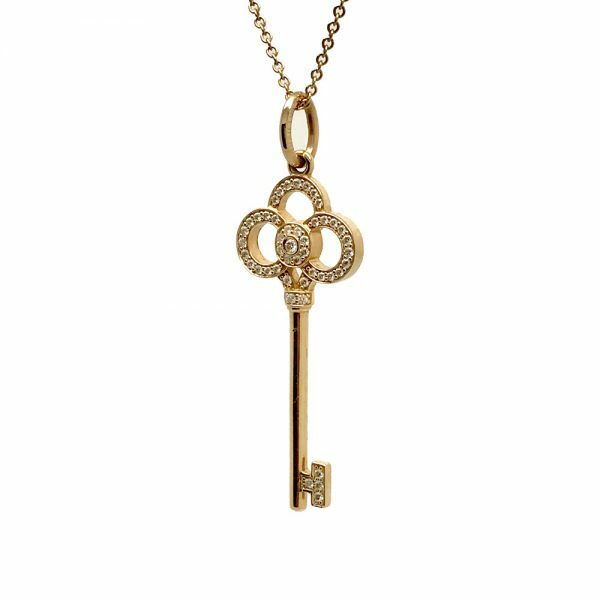 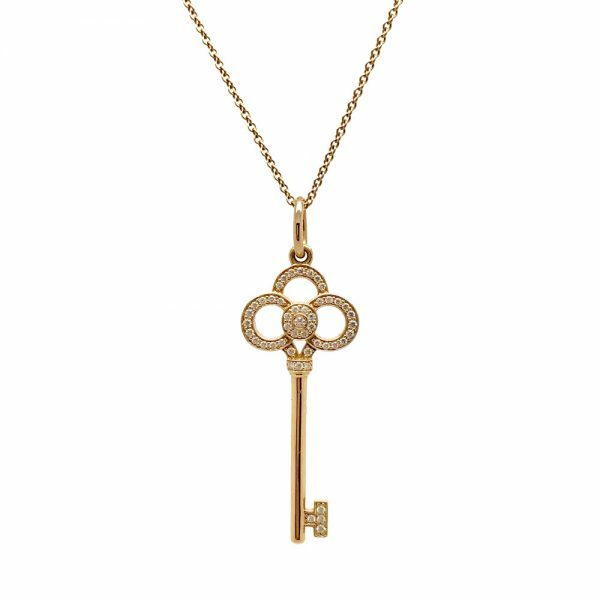 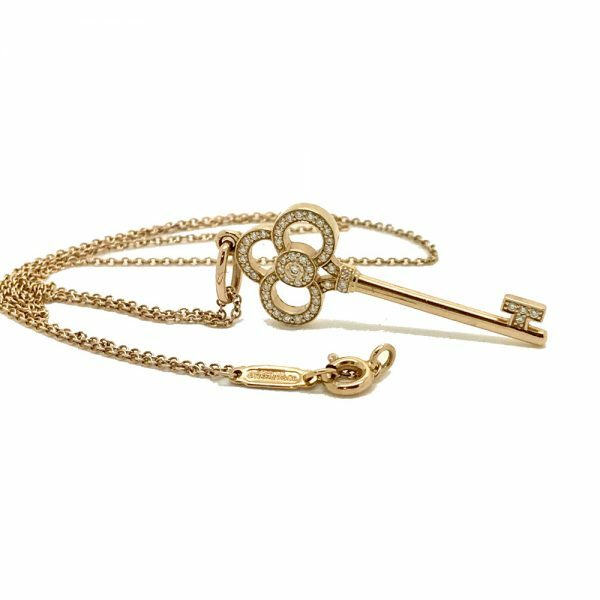 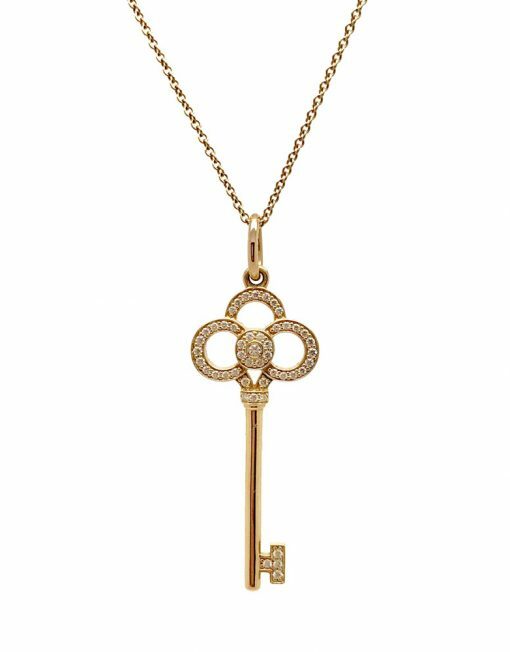 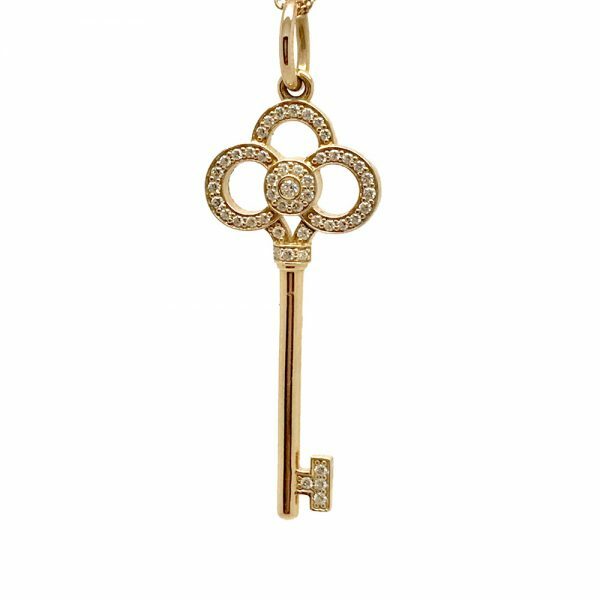 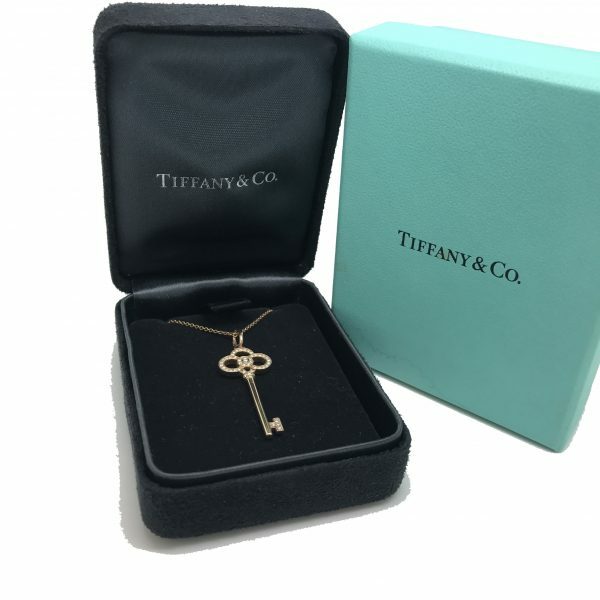 Description: This beautiful key pendant from Tiffany & Co is set in 18k rose gold with round brilliant cut diamonds of 0.13 ct in total. 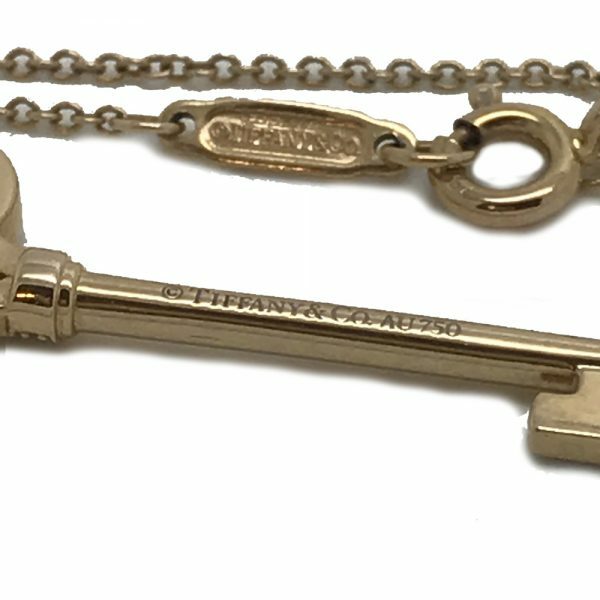 Key 1.5″ length. 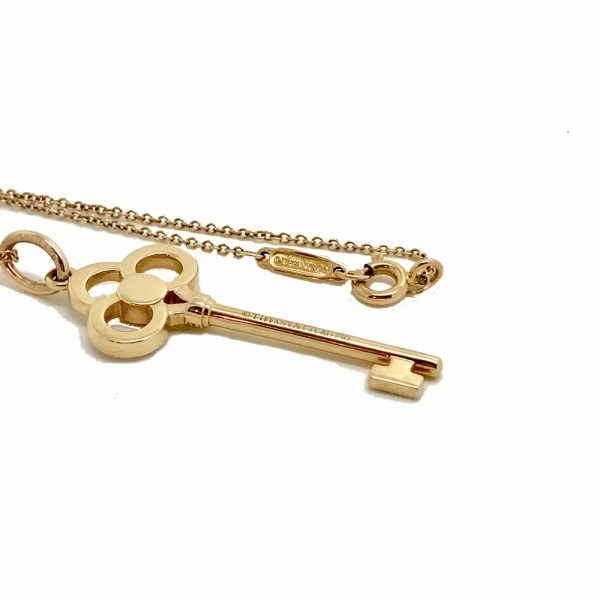 16″ rose gold chain included.